Heating the glass in the furnace before softened, it will be removed to the cooling workshop for fulfilling the process of tempering by quick air cooling, and then blowing the glass continuously until it reaches the normal temperature. When glass is tempering and cooling, another batch of glass is sent to the furnace simultaneously. 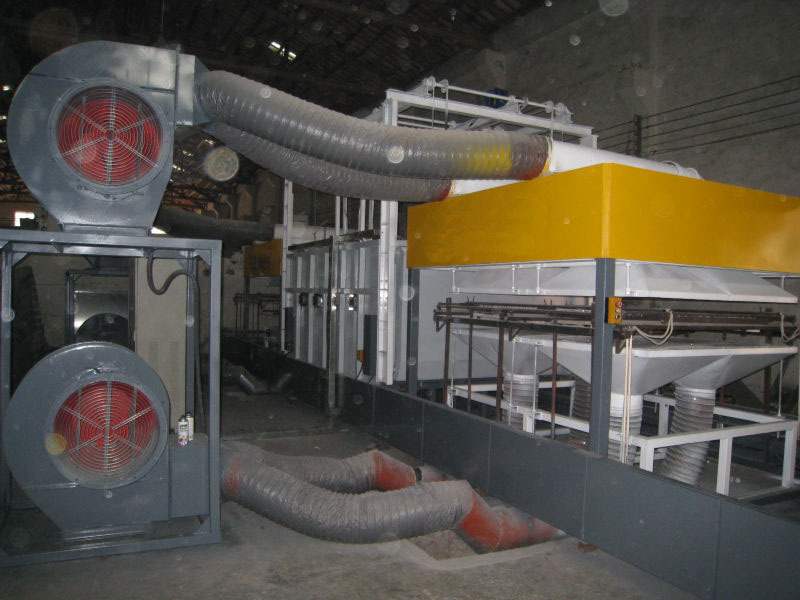 Cooling blower speed control: open loop vector control frequency inverter. The standard signal of tempering furnace control system output serves as the setting frequency of frequency inverter drive to control the rotation speed of cooling blower. 1. 120% rated torque acceleration or deceleration, smooth start and acceleration/ deceleration, motor’s current does not exceed the rated current, eliminating the impact on the power grid and equipment. 2. Improve the protection function of motor, and prolong the life span of the motor. 3. Optimize the operational efficiency, and control the rotational speed of cooling blower by the variable frequency drive. The energy saving rate is more than 30%.